The holiday of Sukkot concludes with an additional festival. The Torah declares that at the end of the seven days holiday of Sukkot there should be an eighth “day of assembly” (Shemini Atzeret, see Numbers 29:35). Why should there be another, additional holiday immediately following the seven days of Sukkot which have just been celebrated? According to a rabbinic folktale, Shemini Atzeret is a final and additional day of spiritual celebration of the close relationship between God and the people of Israel (see Rashi’s commentary to Leviticus 23:36). In Israel and among liberal Jews they are combined into one holiday on the day after the conclusion of Sukkot. Among more traditional Jews outside of Israel, they are observed separately from one another on two consecutive days. Shemini Atzeret is mentioned in the Bible, but its exact function is unclear. In Second Temple times, it appears to have been a day devoted to the ritual cleansing of the altar in the Temple. With the destruction of the Temple in 70 CE, this function of the day became obsolete. Although it marks the beginning of the rainy season in Israel and, therefore includes the year’s first prayer for rain, its lack of clear definition may have provided the impetus to celebrate it in conjunction with Simchat Torah, a celebration of the conclusion of one and the beginning of another annual cycle of readings from the Torah. This latter holiday probably originated during the medieval period. While Shemini Atzeret’s significance is somewhat unclear, Simchat Torah conveys a clear message about the centrality of Torah in Jewish life. It is both a source of Jewish identity and a precious gift from God. 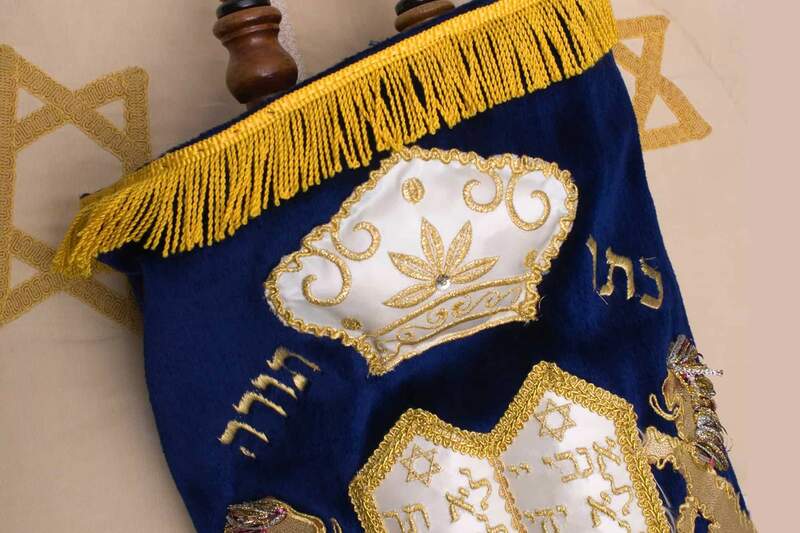 Simchat Torah is the day on which the whole community gathers to come into direct contact with the Torah and to express our joy in having received it. Beginning on Shemini Atzeret and lasting until Pesach (Passover), a short prayer for rain is inserted into the second blessing of the Amidah Prayer. It is traditional to include the Yizkor, or memorial service, as part of the liturgy for this day. Simchat Torah is characterized by joyful dancing with the Torah. The final portion of the Book of Deuteronomy is read in the synagogue followed by the beginning of the Book of Genesis. In this manner, the annual cycle of Torah readings continues unbroken. Unlike many other holidays, the observance of Shemini Atzeret and Simchat Torah are centered in the synagogue and community. On Shemini Atzeret, some still eat in the sukkah (the traditional hut associated with the festival of Sukkot), but in contrast to Sukkot no blessings are associated with that activity. Simchat Torah Festivities begin at the evening service when the doors of the Ark are opened and all of the community’s Torahs are brought out. The congregation then recites liturgical poems and joins in a procession around the synagogue, dancing and singing in honor of the Torah. As on Sukkot, each procession is called a hakkafah. Seven hakkafot are celebrated with flags waving and then a selection from the end of the Torah is chanted. Due to the raucous nature of the celebration, it has become customary to involve entire families in this celebration, especially children. Oftentimes the celebration and dancing moves from the sanctuary into the street, in a public show of devotion to the Torah and pride in being Jewish. Some communities use this opportunity to unroll a whole Torah scroll as the congregation stands in a circle holding it. The following morning the festivities are repeated. The final Torah portion is read and repeated as often as needed in order to provide an opportunity for each and every person present to receive an aliyah to the Torah. Whether called up as individuals or as small groups, it has become customary for everyone to receive such an aliyah, including the children who are too young to be called to the Torah. The last person to receive an aliyah from the end of the Torah is given the ceremonial title of “bridegroom” or–for women receiving the aliyah in egalitarian congregations–“bride” of the Torah (hatan or kallat Torah). When the reading is completed, a second scroll is unrolled and the person to receive the first aliyah from the book of Genesis is given the ceremonial title of “bridegroom” or “bride” of Genesis (hatan or kallat bereshit).